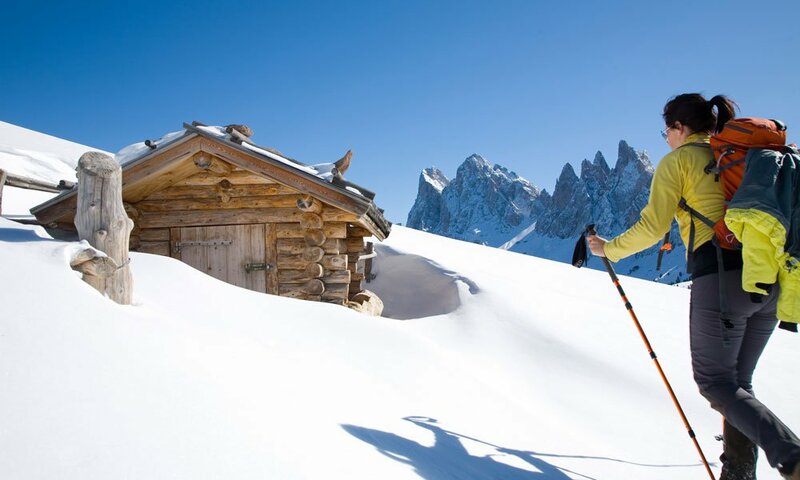 Without winter hiking or tobogganing fun, for many guests a winter vacation in Funes would be only half as great. You may explore the winter landscape around the farm Proihof in many different ways. For example, you may discover the many hidden natural beauties in the Nature Park Puez Odle on a long walk along groomed winter hiking trails. More walking and hiking trails – for example, in the Isarco Valley – can be easily reached with the Hiking Bus, which starts very near the farm Proihof. 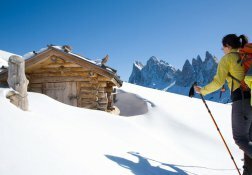 If during your winter holidays in Funes you’d like to experience some action, you may look forward to approx. 20 kilometres of groomed toboggan runs in the area. 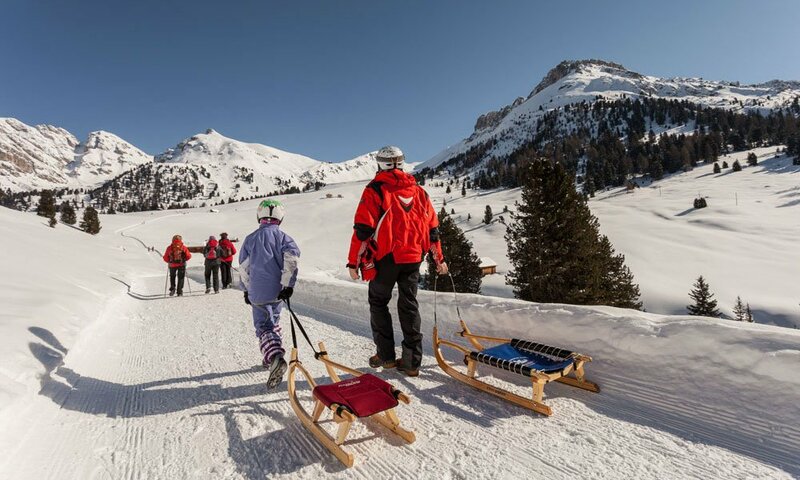 For example, you may start your toboggan adventure at the Geisler Alp, the Dusler Alp, the Gampen Alp and the Kaseril Alp. 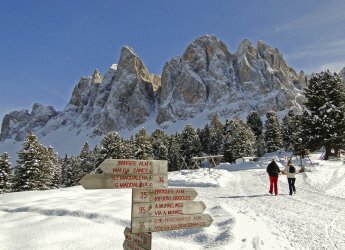 Around Funes, there are six different toboggan runs and many toboggan rental stations. You can reserve up to 60 toboggans at one time, in case you wish to share the fun with a larger group. More attractive toboggan runs in the region are within easy reach by public transport.